In a world increasingly defined by the rapidly growing gap between the haves and the have-nots, it’s easy to get bogged down in the suffering of the masses, with little guidance on the best way to offer effective assistance. That’s why I was fascinated when approached by Shayma Mustafa, founder of the KBK Relief Foundation, and author of the children’s storybook, Excuse Me Ma’am, Excuse Me Sir: I’m Amina, An All–American Girl, as well as Bisma Parvez, board member for the foundation. Popping up towards the end of 2018, the KBK Relief Foundation hit the ground running, intending to tackle each and every humanitarian crisis in a holistic manner, focusing on the monumental trifecta of financing further education for those pursuing it, aiding locally-situated crises, as well as those on an international level. Based out of Dearborn Heights, Michigan, the foundation’s latest endeavor is their 1st Annual Humanitarian Awards Dinner & Gala, an event that promises to be a celebration of the distinctive Muslim women making a difference in their local community. Given that the name of this foundation was inspired by the one and only Khadijah bint Khuwaylid (RA), it is apt that this evening will, no doubt, center around all that is inspirational, with strongly entrenched themes of female empowerment. Attendees will be treated to a night of poetry, as well as an exclusive talk and book signing by guest speaker, Yasmin Mogahed, all the while knowing that the entirety of ticket sales are being used to alleviate the humanitarian crisis in Yemen, provide KBK Scholarships to Muslim youth, and offer support to local families in need. Truly an extraordinary way for a foundation in its infancy to get started. MUSLIM GIRL: Tell me a little bit about the KBK Relief Foundation. What does KBK stand for, and why did you opt for this name? 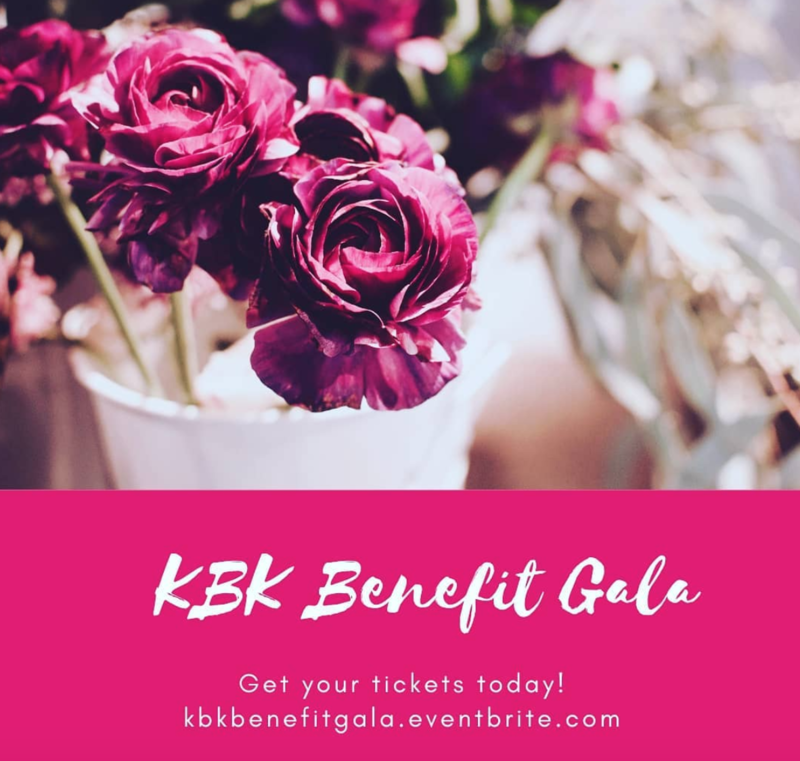 KBK RELIEF FOUNDATION: The KBK Relief Foundation is a registered non-profit organization, named after one of history’s most notable Muslim females, Khadijah bint Khuwaylid, the wife of the Prophet (SAW). We are a grassroots organization with an all-female Muslim Board of Directors. The reason we chose to name our organization after Khadija (RA) is because, just as she spent her riches on the destitute, KBK Relief will strive to honor her distinct character and do the same. What brought about the KBK Relief Foundation’s inception? KBK Relief Foundation was officially founded in 2018, but our board members have been part of the Michigan community for the past 20 years, offering humanitarian services to those in need. Each member has been involved in their respective communities, but we decided to make an organization that would bring all our communities together and work towards providing aid in a more official capacity. Our organization is dedicated to serving those in need locally, nationally, and internationally. With humanitarian efforts as our number one goal, we strive to make lives better and give hope to those whose lives have been impacted by war, oppression, and poverty. All donations, proceeds, and funds will go directly to families and individuals to alleviate suffering and minimize the economic costs of conflict, disasters, and displacement. What do you believe sets your organization apart from others? I believe that our organization is different from other foundations for many reasons. The first one being that we are an all-female Muslim Board of Directors. Most organizations are majority male, if not all male, so we believe that our all-female board is not just necessary, but allows us to have a different point of view. One of our missions is to help single Muslim mothers and refugee women in need, so being an all-female group, we have a better idea of what is needed most, and how best to use the donations for those needs. Secondly, we are a diverse group with our own individual communities, so we are able to bring our communities together, and encourage efforts that include all communities. Moreover, our focus is also on educating Muslim girls, and women. We don’t just want to give donations, but help establish women and girls to be self-sustainable so they do not need to rely on help from others. We believe that the best form of Sadaqah is getting people on their own two feet, and we know that having an education is the best step towards that goal. This is why we also use a part of our donations to offer scholarships to Muslim girls who are pursuing education, but don’t necessarily have the funds to do so. Lastly, and very importantly, our organization is different because we donate 100% of the proceeds we receive towards helping those in need, and towards KBK scholarships. We do not use a single penny towards our own income in any way. We have gotten wonderful and generous sponsors who are covering the cost of our event. Please visit our page to see our sponsors, and support their businesses! Where do you see the KBK Relief Foundation in five years? More specifically, what do you hope to have accomplished in five years through the work that the KBK Relief Foundation does? Our long-term goal is to establish ourselves as a serious and trustworthy organization that focuses on helping with self-sustainability. We would love to offer more and more scholarships to girls who are pursuing their education, as well as help single mothers and refugees to complete their secondary and post-secondary education. Moreover, we want to be able to relieve stress in times of a humanitarian crisis, and foster connections with more organizations to help alleviate such crises. I understand that you have a gala coming up. Please, tell me a little bit about that. Our first major event coming up on Saturday January 26th is our 1st Annual Humanitarian Awards Dinner and Gala. This gala is to honor the Muslim women in our communities who work so hard everyday to help those in need, and raise the voices of Muslim women. They are the women we turn to when our community needs help, leadership, and guidance. We wanted to have an event to honor these Muslim sheroes, and reward them for all they do. Just like Glamour Magazine has their Women of the Year Awards, we think it’s important for us to have such an event for the Muslim women in our communities. We hope to one day have our Awards Gala just as big, and reward Muslim women all over the country. Our guest speaker for the event is Yasmin Mogahed, who will be speaking about the inner strength of the woman. We will also have PBS NewsHour special correspondent Jane Ferguson as a special Skype guest speaker. Jane Ferguson spent three months in Yemen, and has seen, first-hand, the horrors of the crisis in Yemen. She will share her experiences so that we are aware of the situation from someone who has investigated the crisis first-hand. We feel this is an important aspect of the event since 100% of the proceeds from our gala will be going towards the humanitarian crisis in Yemen, local families in need, and KBK scholarships. Ultimately, the gala is a women-only event, and will be covered by Hour Detroit Magazine. It is an event for women, by women, to celebrate women! What compelled the KBK Relief Foundation to take up the Yemeni crisis? The reason we are focusing our efforts on the Yemeni crisis for this particular event is because we feel that this humanitarian crisis is completely man-made. It is heart-breaking to see that almost an entire nation is dying of hunger, when there is such an abundance of food and resources all over the world. One of our board members personally has family and friends in Yemen, who can be trusted to distribute money that is sent for aid. They provide money to needy families so that they are able purchase supplies, especially food items. Because of the war, inflation has increased the prices of supplies, which most people cannot afford. So providing families in different areas with money is crucial in providing aid and sustenance. If our Muslim brothers and sisters are in need, we should do all that we can to help alleviate that pain. Ibn `Umar (may Allah be pleased with them) reported: The Messenger of Allah (SAW) said, “A Muslim is a brother of (another) Muslim, he neither wrongs him nor does hand him over to one who does him wrong. If anyone fulfills his brother’s needs, Allah will fulfill his needs; if one relieves a Muslim of his troubles, Allah will relieve his troubles on the Day of Resurrection…” [Bukhari and Muslim]. We hope to continue to support all those who need help in the future, insh’Allah, and we are not just limited to helping only one country, or one type of community. At the end of it all, what is one thing you hope that the KBK Relief Foundation accomplishes? What would have to happen for you to say, “this, right here, means we have accomplished everything that we wanted”? At the end of it all, our main goal, as an organization, is to help anyone who comes to us for help, and we want to do this all for the sake of Allah (SWT). We want to use our organization as a form of Sadaqah Jaariya, not just for us, but for all the people who donate as well. Ideally, I feel an entrance into Jannat-al-Firdous for us and for all those who have helped will mean that we have been successful in our mission, but of course that is up to Allah (SWT). And realistically, just knowing that we have helped someone, or eased someone’s hardship, is more than enough. We are grateful that Allah (SWT) has given us this opportunity and the means to help another human being, and we pray that Allah continues to choose us as a vessel that can lend help to our world where He so chooses. May He accept our efforts. Ameen! Finally, is there anything else you would like our readers to know? The KBK Relief Foundation Board of Directors is made up of four Muslim women, Shayma Mustafa, myself [Bisma Parvez], Megan Agemy, and Bushra Abuzeid. This has been a blessing, but we have also faced some scrutiny because we don’t have any male members. We feel honored and blessed that most people are extremely open to the idea of an all-female board, but of course there are always some individuals who question females in leadership positions. So we want to thank all those who have trusted us with their donations, their money, and their services. If anyone wants to donate to our cause, they can contact us via our Instagram page, @kbkrelieffoundation, or our Facebook page, KBK Relief Foundation. They can also donate through our Venmo account, KBK Relief Foundation.